How Far is New Sunrise Brunda Avenue? NSP Brunda Avenue is an completed premium residential property by New Sunrise Promoters. Placed strategically in Revidi, Vizag. The project boasts of superior lifestyle amenities plus an easily accessible location and an array of thoughtfully designed bedrooms. NSP Brunda Avenue houses state-of-the-art Plots that are sure to give you a superior lifestyle. 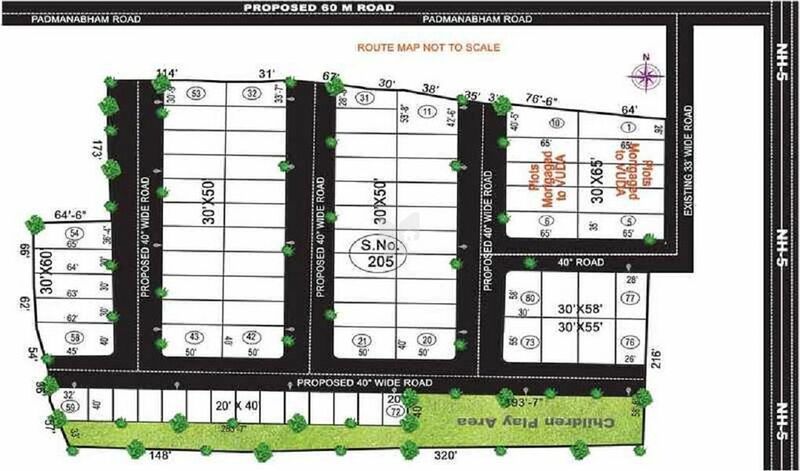 NSP Brunda Avenue is Placed at Revidi, Padmanabham, Visakhapatnam, Andhra Pradesh, INDIA. one of the most sought after locations in Vizag. The area has good connectivity to hospitals, recreation areas and malls etc. Residents can enjoy a great work-life balance by staying in these Plots.